Kawasaki-ku 川崎区 is not known for tourism. Ask Wikipedia and you’ll find that the city has been known for “grime, labor unrest, organized crime and pollution-related diseases.” So it’s a surprise to me (and my coworkers) that I so often find myself in Kawasaki. 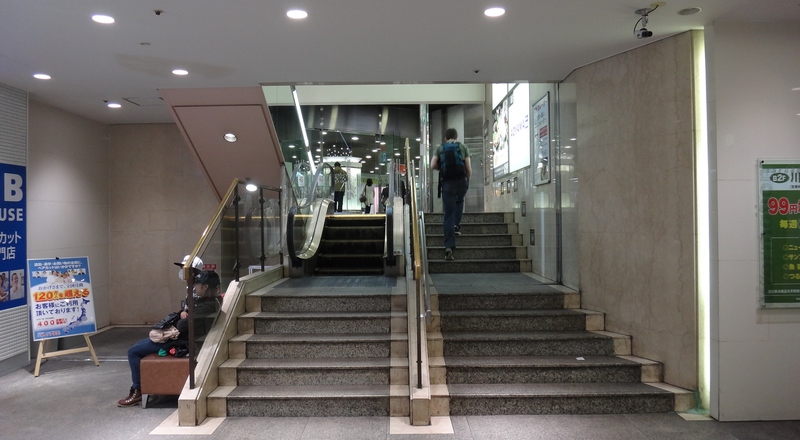 On three occasions I’ve visited the world’s shortest escalator, located in the underground mall adjacent to Kawasaki station. The escalator is just four steps, followed, inexplicably, by five more stairs. When I first visited, an old woman struggled with the remaining stairs. To the east of Kawasaki station is the humble Kawasaki Stadium 川崎球場, where I’ve dragged friends to watch American football. Continue south/southeast and, before long, you’ll reach the Kawasaki industrial zone 川崎工場, a thick tangle of factories, refineries, and incomprehensible industrial madness that is simultaneously hideous and glorious. On one sunny Saturday afternoon in April, I convinced my brother, visiting from the US, to tour the industrial zone with me. There were few people on the streets and the silence was punctuated only by the hums and whirs, hisses and clicks of the surrounding factories. If you’re looking to “get away from it all”, just hop on a train to Kawasaki and head towards the shore. It’s no mountain village, but it’s peaceful and a heck of a lot closer. What do these factories do? Who knows, but I trust it’s something vital. Coursing through the steel pipes and housed inside the corrugated tin warehouses are the building blocks of the modern world. Or so I imagine. Although my brother and I were the sole tourists that day, when the sun goes down, our ranks swell with visitors longing to photograph the industrial zone at night. I’m no stranger to such pleasures. Of the few videos I’ve taken in the last year, one is of a small steel mill on the banks of the Arakawa in Kawaguchi, Saitama. Why did my brother and I even venture into the industrial zone? It began when I came across Shōwa Station 昭和駅 on a map. I figured that any station named after emperor Hirohito 裕仁 must be worth visiting. Had it been built to commemorate the late, beloved emperor? Nope, and the real answer stinks. 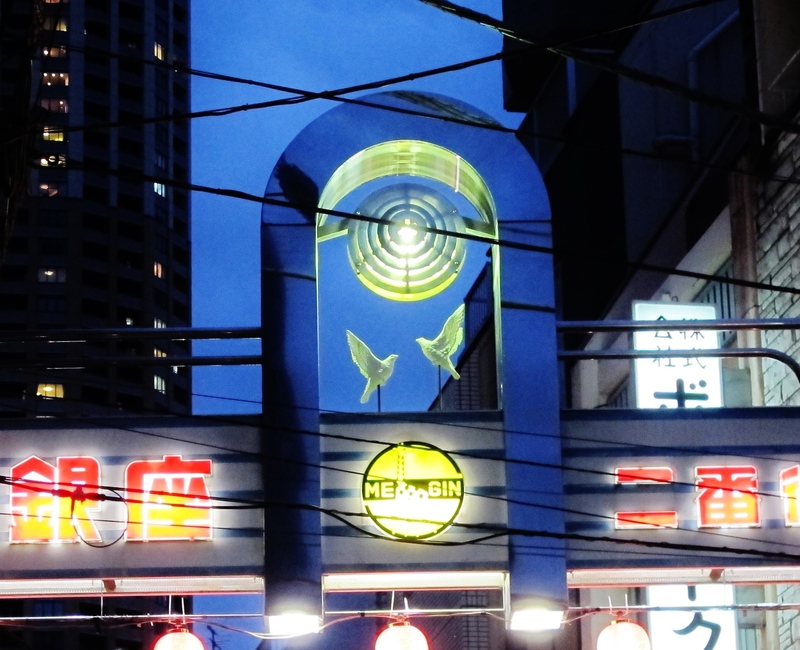 The station was named after the adjacent Shōwa Fertilizer Company 昭和肥料, now Showa Denko 昭和電工株式会社. 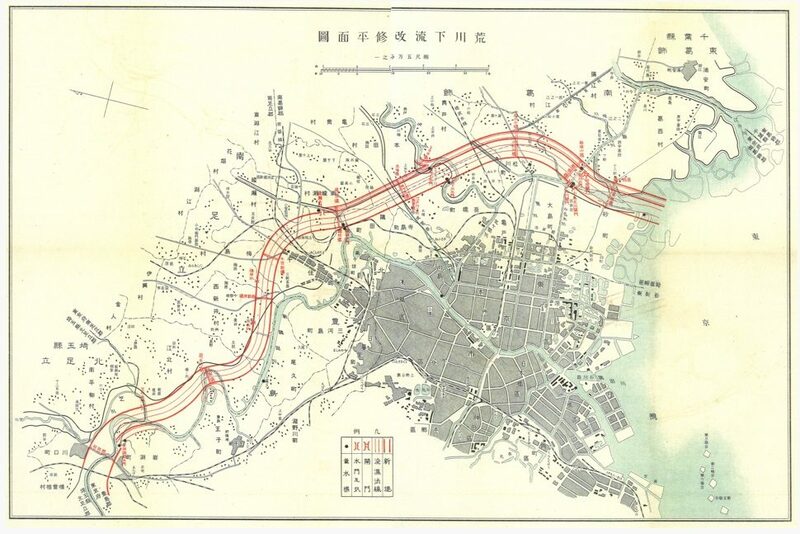 Shōwa Station is one of the thirteen stations of the modest Tsurumi Line 鶴見線, which has two spurs that branch towards the ocean to serve some of the many factories built on Kawasaki’s reclaimed land. One of the spurs leaves the main line at Asano Station 浅野駅, passes Shin-Shibaura Station 新芝浦駅, and terminates at Umi-Shibaura Station 海芝浦駅. 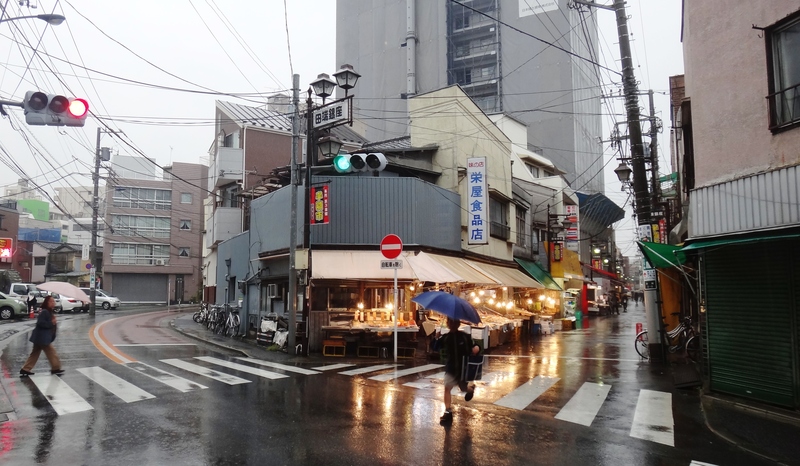 Shin-Shibaura Station is interesting because you cannot access the station by foot. As you can see in the photo of the Toshiba factory below, the entrance to the station is just beyond the red Toshiba sign, at the base of which is a small notice at the edge of the road saying that only authorized personnel are permitted to enter. 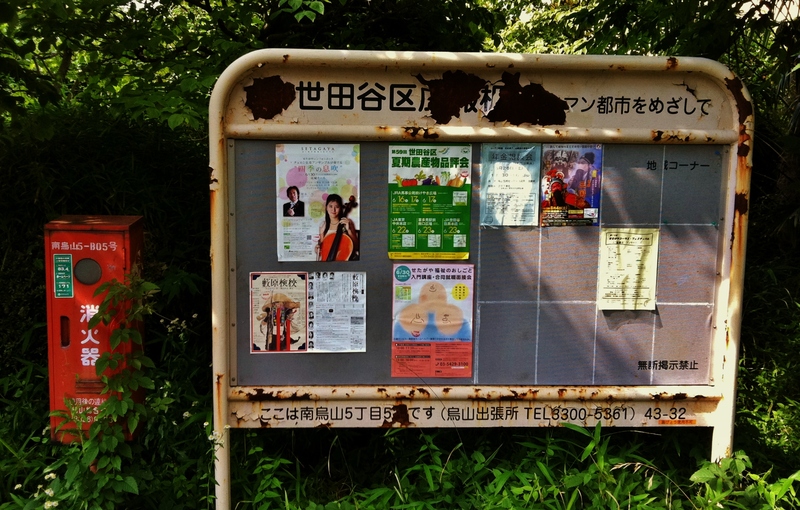 The next station, Umi-Shibaura, is also inaccessible by foot. However, you can board the train at Asano and get off at Umi-Shibaura; the catch is, once you arrive at Umi-Shibaura Station, you are not permitted to leave. That is, until roughly 10 minutes later when the train returns to Tsurumi. According to the timetable (above), between 11:25 a.m. and 5:03 p.m. only four trains leave the station, a rate unheard of in the Tokyo metro area. This makes sense, though, because Toshiba employees are essentially the only users of the train. Starting at 5:03 the train runs more frequently. My brother thought I was a bit daft for taking him on a train to nowhere, but I wasn’t the only daft person that day. A handful of Japanese train enthusiasts joined us on this journey. In addition to enjoying this bizarre train, Umi-Shibaura station has nice views of the bay and a pleasant view of the Tsurumi Tsubasa Bridge. 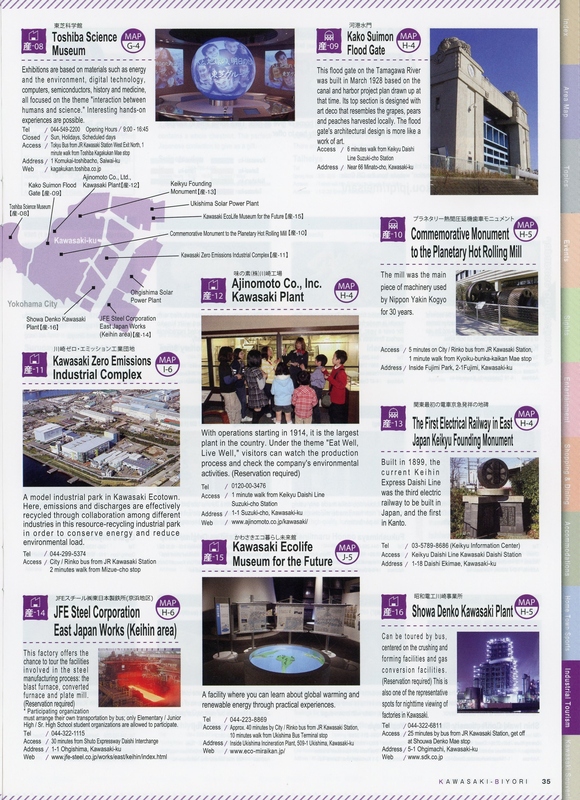 Note 1: This being Japan, even industrial tourism is conducted in a structured manner; an examination is administered by the city to award the “Kawasaki Industrial Tourism certification” to those who pass (exam fee: 3150 yen for beginner, 5250 yen for advanced). What honors await the certificate holders? In addition to a “gathering of passers”, successful candidates are allowed to act as tour guides for sightseeing tours. 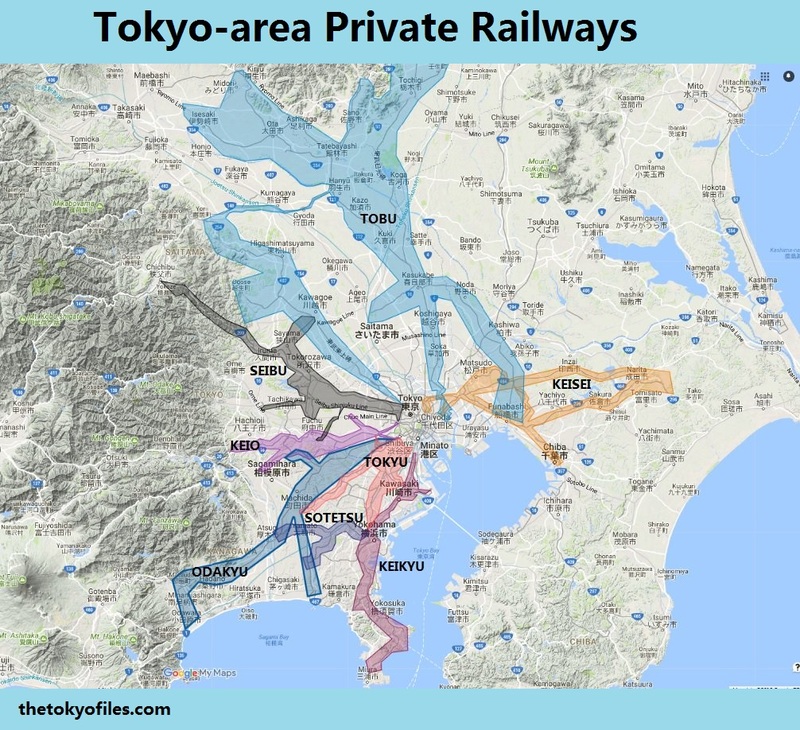 Hi Clark – I came across tokyo files by research for another book project of mine. You are about the only one who writes about Kawasaki and your info has been really helpful and inspiring Thank you so much. Maybe we can meet for a beer some day.